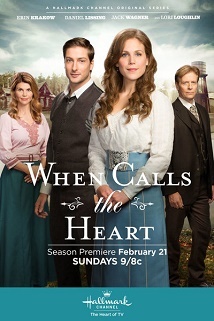 When Calls the Heart – Season 3 (2018) – What's New on Netflix Canada Today! Elizabeth Thatcher, a young woman from a wealthy family, moves to the small town of Hope Valley to be the new teacher. There, she is welcomed by the townsfolk. When she meets the local Mounted Police Officer, Jack Thornton, she begins to fall in love, not only with him, but with her new lifestyle. Leaving behind her upper-crust city roots, a woman journeys west in the early 1900s to become a teacher in a small Canadian mining community.